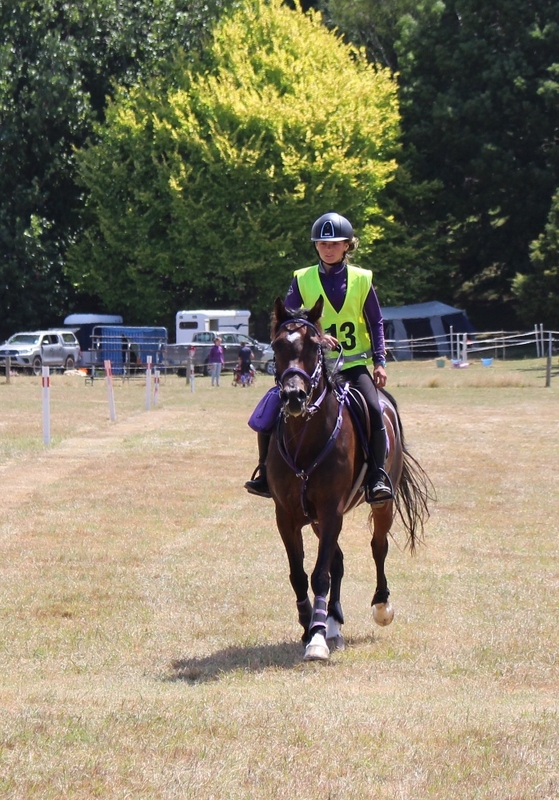 The Wairarapa Endurance and CTR club hosted the North Island championships at Whareama Domain from 1 to 3 February 2019. 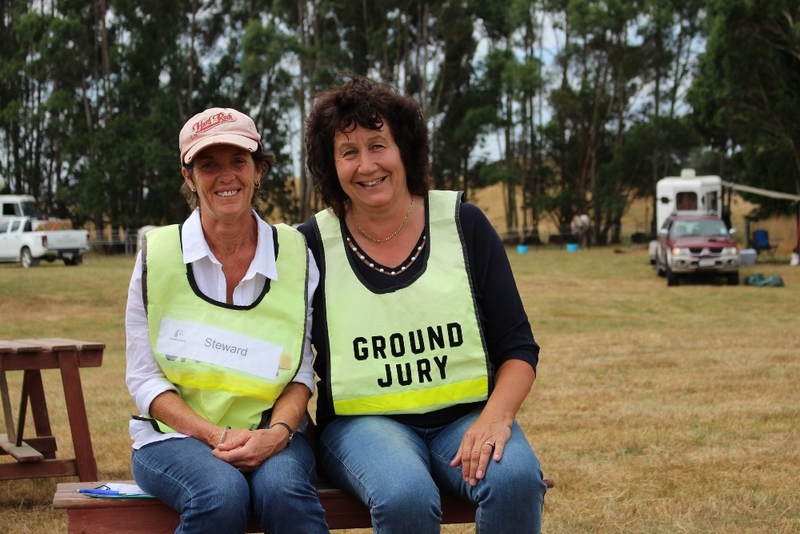 The Organising Committee had been working very hard in the lead-up to ensure a great event, backed up by many landowners and sponsors, who couldn’t have been more supportive. The local business community rallied around the event, ensuring financial assistance with the many costs associated with running a championship event, and an impressive array of prizes, tangibly recognising the hard work and achievement of competitors. By Friday afternoon ride base was fully set up and riders were camped under the trees around the edge of the picturesque domain. Vet lanes were hired from the local dressage group, an enormous vet and sponsors marquee loaned by Ravensdown, the ‘Equidays horse’ prominently displayed, along with sponsors signage, and potted plants arranged by the Whitehead family made for a very professional looking field of play. An unexpected treat was getting up to observe the first loop vetting to find the overseas vet had laid fairy lights up the trot lanes, which looked spectacular in the dark. Three senior and one junior rider rode out into the night at 1am in the McCarthy Transport and Prydes Easifeed 160km classes. Unfortunately, Chinese rider Zhaoyi Cheng’s experienced mare Nina, owned by Carla Barakat vetted out early, leaving Pip Mutch on Mauku Bella and Sue Reid on Kowhai Martini to ride together the rest of the day. They rode kindly and were rewarded with successful completions in a time of 13:16:02, the win going to Pip who put on a last-minute spurt to cross the line ahead of Sue. The only junior starter, Ana Whitehead and Dundevale Nazecca crossed the line approximately half an hour later for a well-deserved win on a horse she and her family have brought along and trained from scratch and put in many, many of saddle time, much to the joy of her family, and fellow Wairarapa club members. 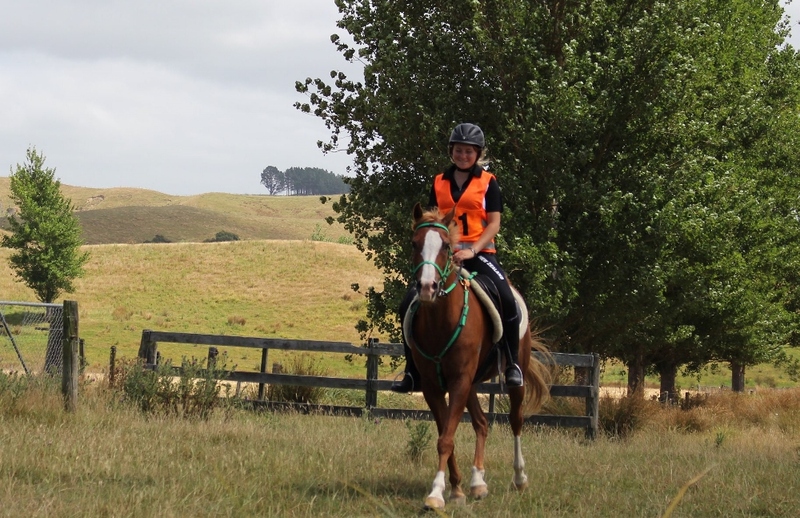 The other Saturday championship events were the House of Travel Masterton 100km senior, and Vet Services Wairarapa 100km junior classes. The senior class had some ups and downs; Sean Trafford and his young stallion Prince Eligani SPA were looking a shoe-in for a very comfortable win, when a disappointing course error left them riding for a completion only. Gemma Haywood and Roselea Royal Fire seized the opportunity to move into the lead, heading out strongly on the last loop, closely followed by Don Sagar and Georgia Smith. Tri rose to the occasion and trotted into ride base looking happy and confident, and vetted through for the win, to the delight of her strapping team. 2nd went to Georgia (with Glenmore A’Complish later taking BC), 3rd to an overjoyed Sandy Marshall and Jamila-Two in their first 100km, and 4th to Hanna Whitehead taking over the ride on CR Sonatina from Mum Vicky who had been working extremely hard in the lead up and during the weekend. The junior class was a four-way tussle, with the win eventually going to relatively new endurance competitor, Emma Watson, riding the experienced gelding Little Victory, followed by Jayden Loveridge, then Tayla Morris, with a very unlucky Petria Haigh vetting out at the end. Sincere commiserations Petria, we’ve all been there and Nationals will be your day! Sundays feature event was the TIGL 120km senior class, with seven competitors lining up at 3.15am. 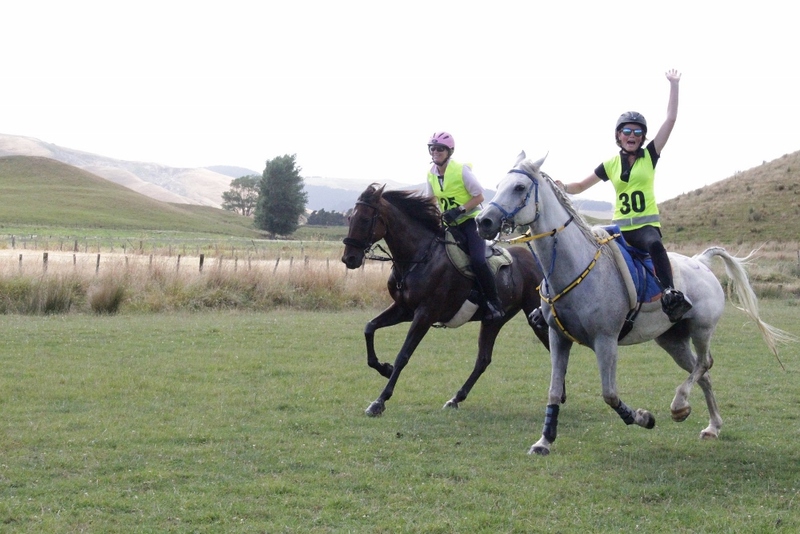 Leader Pippa Roberts on the Sagar’s Wai Totara Moon Star bolted clear of the field from the starters ‘gun’ and was never caught (the start being the most the rest of the field saw of them all day). Pippa and Monster had a superb day to cross the line in 9:06:06, almost an hour clear of Sean Trafford and the classy stallion Rivergum Dark Knight in 2nd. 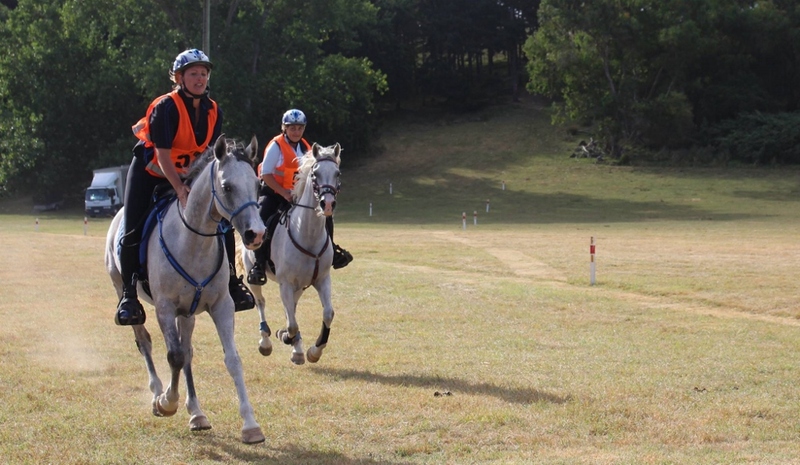 The remaining riders mostly rode as a pack, with Allan Haigh plugging away determinedly further back and all were rewarded for sensible riding with a 100% qualification rate. There was a brief fluffy and the sniff of a gallop finish for 3rd and 4th between Sandra Warren and Jane Ferguson, with Jane conceding the inside track and pulling back to ease up across the finish line, both riders overjoyed with their horses’ performance. The vivacious Pip Ireland on her mare Sayfwood Oshaarnna won the junior 120km class, riding with a smile from start to finish. The non-FEI championship 60km class is traditionally the speed event of the weekend, however Maureen Davie was the only senior competitor, riding quietly for the win and the championship rug on Sue Drinnan’s Charm II, while the junior competitor vetted out on gait. 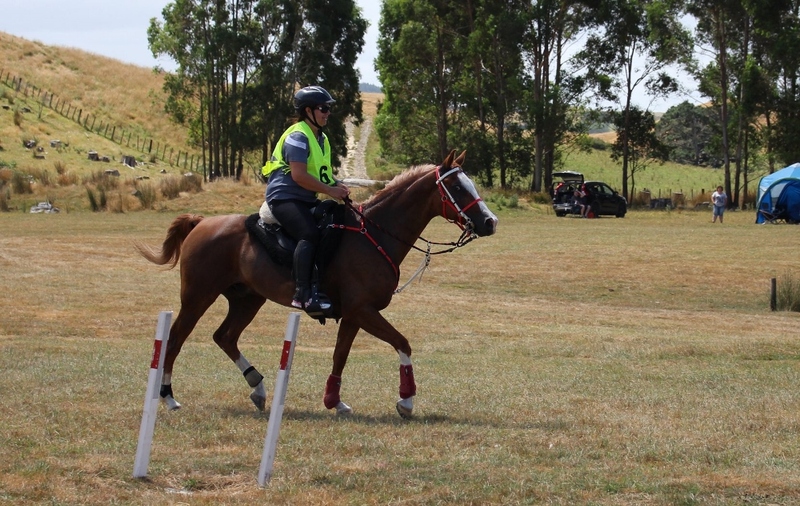 Other classes over the weekend were well supported with a number of new novice horses beginning their qualifying journey, and three complete newcomers to endurance crossing over from other disciplines to have a wonderful time in the 20km introductory grade. Their laughter could be heard from afar on course and we hope to welcome them back to future events. Dad Chris was one of the stars of the weekend, traipsing 10km in the heat up hill and down dale, leading daughter Ashlea Watson on Candy for 1st in the lead rein class. Ashlea insisted on trotting Candy out herself; the large size discrepancy between the two leading to an ‘awwww’ moment from the vets and officials. Our Chinese guest had a more successful 2nd day on David Marshall’s Dahman Al Zayd in the Marshall Miller Farrier combined senior 80km class, though he had plenty of opportunity to demonstrate his considerable and sympathetic riding skills (!). Officials and vets came from Botswana, Malaysia, the United States, Costa Rica and of course our New Zealand endurance family and all enjoyed the weekend. It was a highly pleasant championship event, with enormous local business and community backing, and a supportive, encouraging atmosphere. Many comments were heard about it being one of the best championship events in years, which is a testament to the hard work of the organising committee for putting on such a great weekend.